Keep it simply classy in the SJP by Sarah Jessica Parker Gelsey Flat. Pointed toe ballerina flat. Soft and rich leather upper. Piped throat with bow accent at vamp. Signature back quarter pull tab. Ultra soft leather lining. Lightly padded leather insole. Smooth leather sole. Made in Italy. This item may ship with an attached security tag. Merchandise returned without the original security tag attached or a damaged tag may not qualify for a refund. Measurements: Heel Height: 1 4 in Weight: 4.2 oz Circumference: 14 in Shaft: 1 1 2 in Platform Height: 1 4 in Product measurements were taken using size 39, width B - Medium. Please note that measurements may vary by size. Weight of footwear is based on a single item, not a pair. 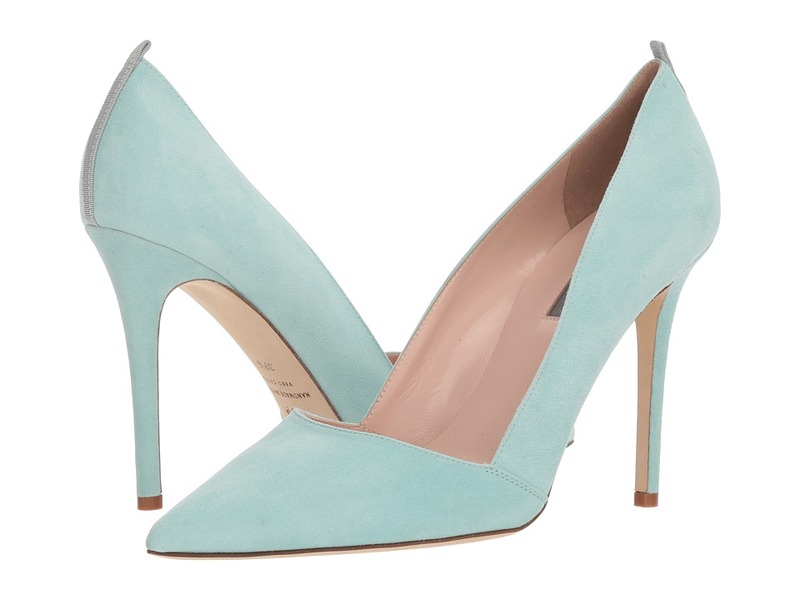 The classic pump is the cornerstone of a fabulous wardrobe. These timeless beauties belong in your closet! 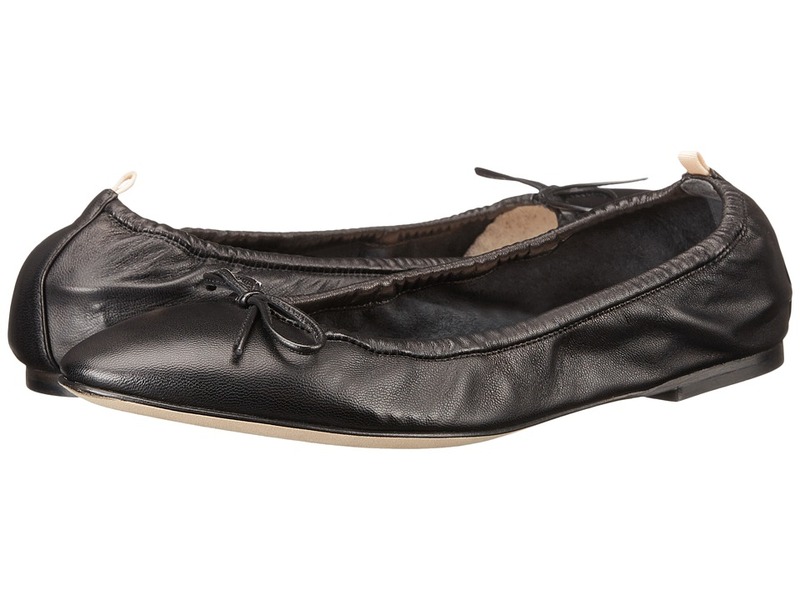 Leather or satin upper with grosgrain trim at the heel. Pointed toe. Leather lining. Leather sole. Imported. This item may ship with an attached security tag. Merchandise returned without the original security tag attached or a damaged tag may not qualify for a refund. Measurements: Heel Height: 4 in Weight: 6 oz Product measurements were taken using size 38.5, width B - Medium. Please note that measurements may vary by size. Weight of footwear is based on a single item, not a pair. 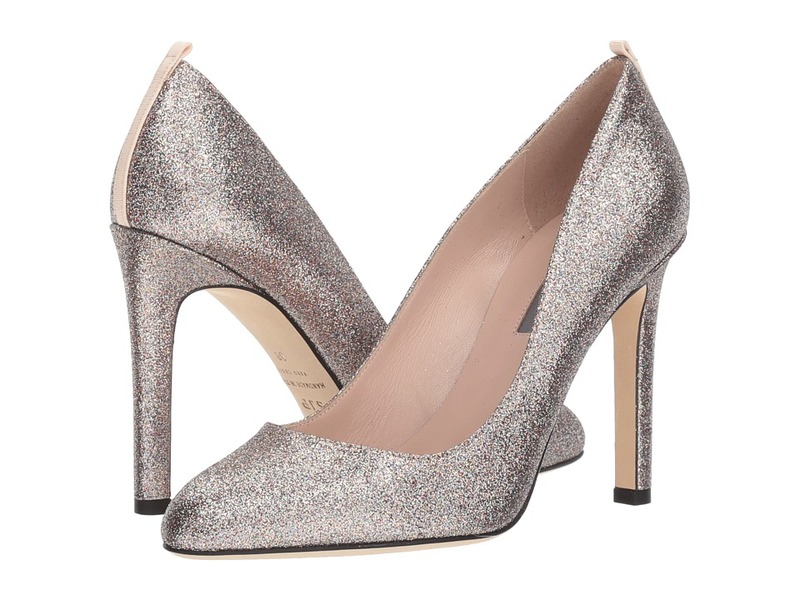 The SJP by Sarah Jessica Parker Lady pump is simply class, personified. Pointed toe, classic heel. Grosgrain upper. Slip on design. Signature back quarter pull tab. Soft leather lining. Padded leather insole. Wrapped heel. Smooth leather sole. Made in Italy. This item may ship with an attached security tag. Merchandise returned without the original security tag attached or a damaged tag may not qualify for a refund. Measurements: Heel Height: 4 in Weight: 6 oz Product measurements were taken using size 37.5, width B - Medium. Please note that measurements may vary by size. Weight of footwear is based on a single item, not a pair. Classically perfect. The SJP by Sarah Jessica Parker Phoebe heel is great for any occasion. Pointed toe pump. Smooth patent leather upper. Raised instep for added comfort. Slip on design with ankle buckle closure. Smooth leather lining. Lightly padded leather footbed. Wrapped heel. Leather outsole. Made in Italy and Imported. This item may ship with an attached security tag. Merchandise returned without the original security tag attached or a damaged tag may not qualify for a refund. Measurements: Heel Height: 3 in Weight: 6 oz Product measurements were taken using size 38, width B - Medium. Please note that measurements may vary by size. Weight of footwear is based on a single item, not a pair. 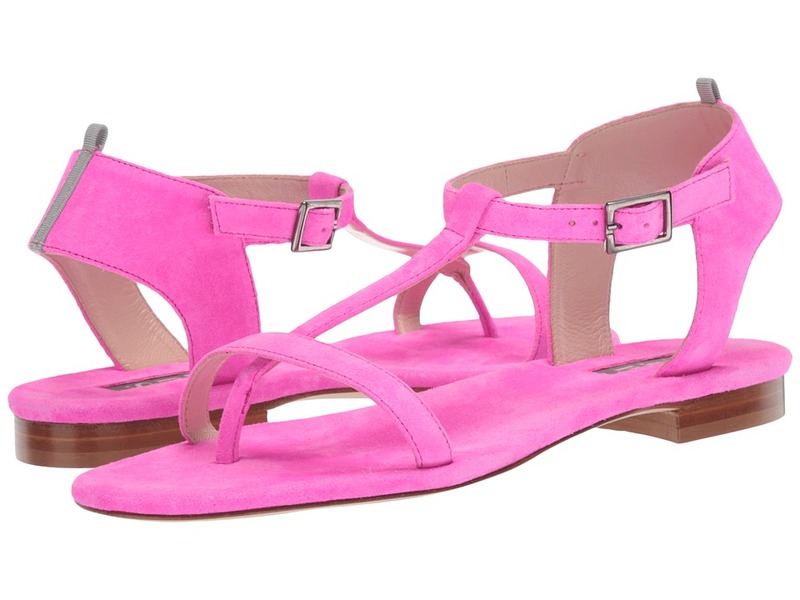 It~s clear to see you~re a style sensation in the Veronika sandals from SJP by Sarah Jessica Parker! Leather upper with metallic crackled finish. Ankle strap with buckle closure. T-strap, thong style construction. Leather lined footbed. Leather outsole. Made in Italy and Imported. This item may ship with an attached security tag. Merchandise returned without the original security tag attached or a damaged tag may not qualify for a refund. Measurements: Heel Height: 3 4 in Weight: 7 oz Product measurements were taken using size 39, width B - Medium. Please note that measurements may vary by size. Weight of footwear is based on a single item, not a pair. The classic pump is the cornerstone of a fabulous wardrobe. These timeless beauties belong in your closet! Leather or satin upper with grosgrain trim at the heel. Pointed toe. Leather lining. Leather sole. Imported. This item may ship with an attached security tag. Merchandise returned without the original security tag attached or a damaged tag may not qualify for a refund. Measurements: Heel Height: 2 3 4 in Weight: 6 oz Product measurements were taken using size 37.5, width B - Medium. Please note that measurements may vary by size. Weight of footwear is based on a single item, not a pair. 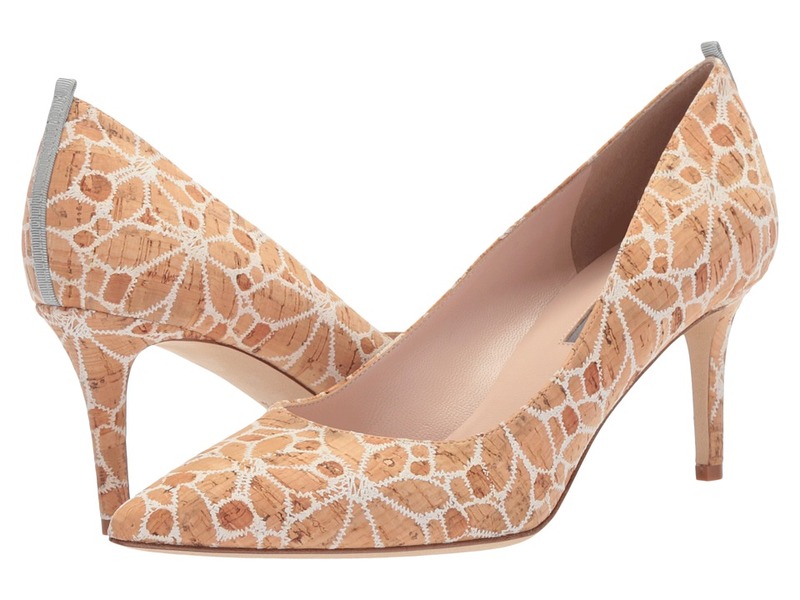 The classic pump is the cornerstone of a fabulous wardrobe. These timeless beauties belong in your closet! Suede or sparkling sequin upper. Pointed-toe. Signature grosgrain stripe at the back. Leather lining. Lightly padded leather footbed. Wrapped stiletto heel. Leather sole. Made in Italy. This item may ship with an attached security tag. Merchandise returned without the original security tag attached or a damaged tag may not qualify for a refund. Measurements: Heel Height: 3 3 4 in Weight: 6 oz Product measurements were taken using size 37 (US Women~s 6.5), width B - Medium. Please note that measurements may vary by size. Weight of footwear is based on a single item, not a pair. Let the magic of the SJP by Sarah Jessica Parker Glass sweep you away. Textile mesh upper. Slip-on construction. Pointed toe silhouette. Textile lining. Lightly padded insole. Wrapped post heel. Leather outsole. Made in Italy. This item may ship with an attached security tag. Merchandise returned without the original security tag attached or a damaged tag may not qualify for a refund. Measurements: Heel Height: 3 3 4 in Weight: 9 oz Product measurements were taken using size 39, width B - Medium. Please note that measurements may vary by size. Weight of footwear is based on a single item, not a pair.